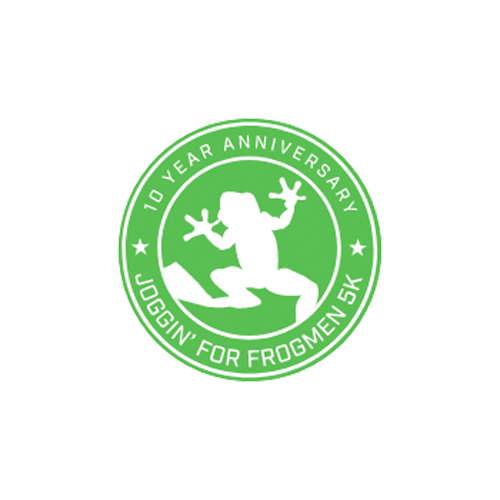 Join this event and raise $100 and we will send you an awesome Joggin' for Frogmen shirt and a medal. Inspired by US Navy SEALs (Frogmen), the Navy SEAL Foundation's Joggin' for Frogmen Race Series brings communities and families together to jog in honor of the Naval Special Warfare community and their families. 100% of proceeds from the Navy SEAL Foundation’s Joggin’ for Frogmen Race Series will exclusively benefit the Navy SEAL Foundation which is focused on preservation of the Naval Special Warfare (NSW) force and their families. It provides immediate and ongoing support and assistance to the NSW community and is a source of empowerment and comfort for the families of the fallen. The Foundation offers a comprehensive set of programs specifically designed to improve health and welfare, build and enhance resiliency, empower and educate families and provide critical support during times of illness, injury or loss. The Navy SEAL Foundation is a 501(c)(3), tax exempt, national non-profit charitable foundation headquartered in Virginia Beach, VA., and has a presence in San Diego, CA. Tax ID# 31-1728910 / CFC# 11454. To learn more, visit NavySEALFoundation.org. The Joggin’ for Frogmen – Imperial Team!